Last Friday of “Freedom” —> means night out! Today is the last Friday before I start MBA school…so, my summer (ahem, I mean 7 months) of doing nothing in Belgium is about to be over! Some people in my position might be sad about this, but I could not be more delighted. I am really looking forward to challenging my brain again, meeting new people, and seeing what school is like in Europe! Of course, I am VERY nervous too. Not too shabby…I was enjoying my workout even more because the US open was on (albeit dubbed in French). I watched Djokovic essentially destroy his competition in 3 straight sets – the match was less than 1.5 hours! When I got home I was STARVING! 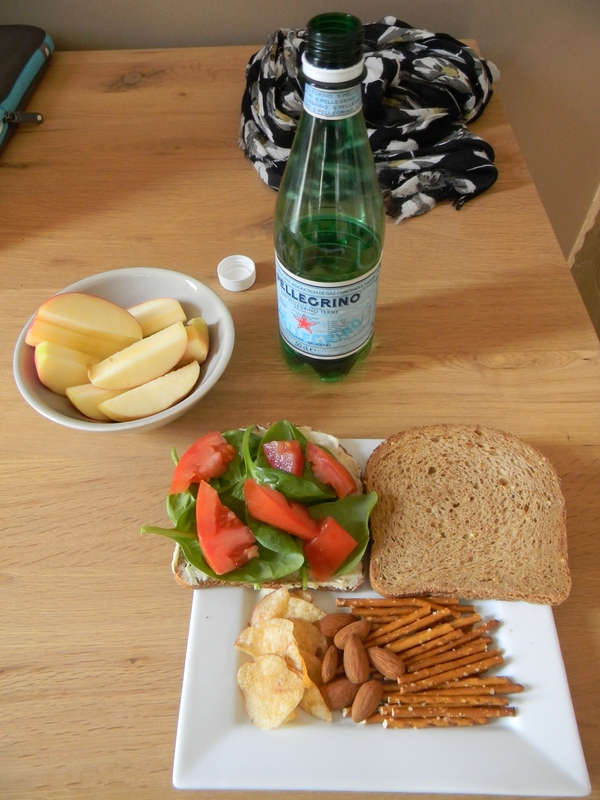 So I whipped up this nice little lunch (hummus sandwich)! Now, for the best part of the day…whipping up dinner and our Friday night appy’s! Appy’s: I tried a new bakery in the “mall” in Ghent and bought a fabulous nut bread and multi-grain bread (seriously amazing, but no surprise there)! 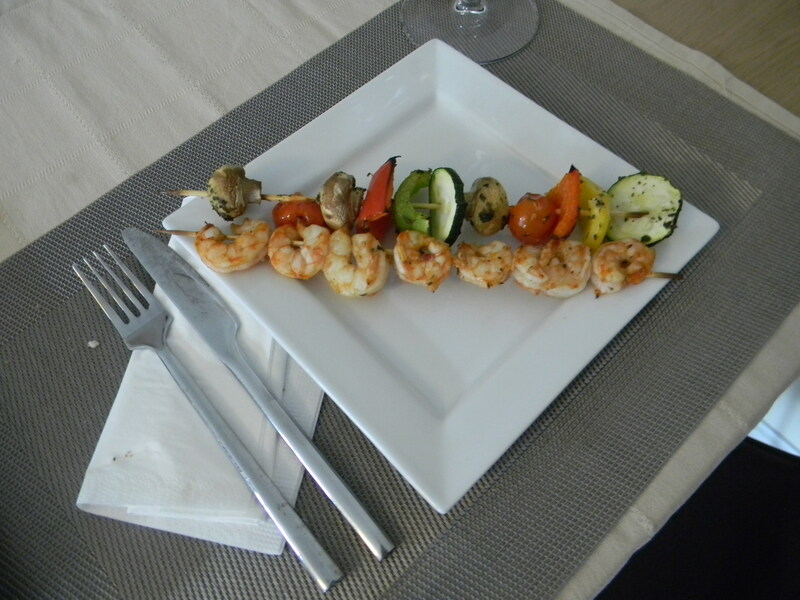 We had hummus and the remaining raw veggies that were not used for the skewers. 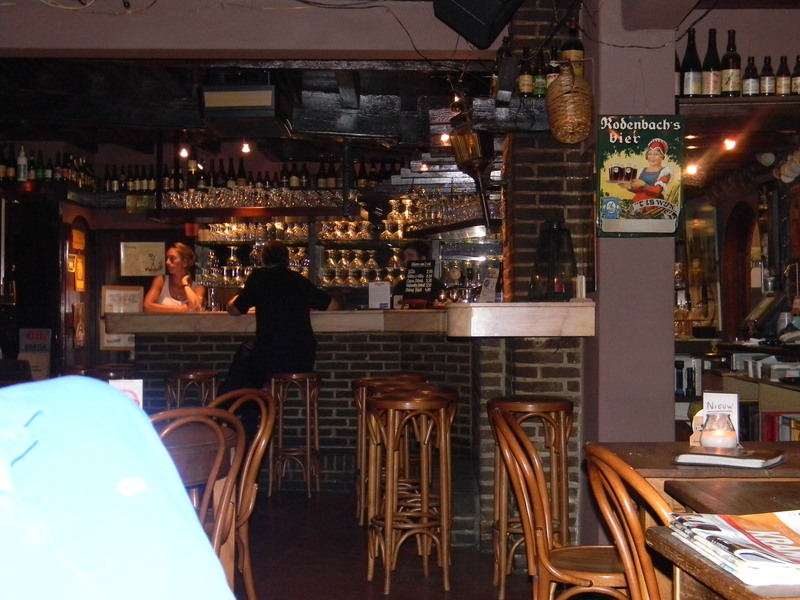 Of course, the obligatory wine and Belgian beer. YUM! *See the little duck napkin holders? 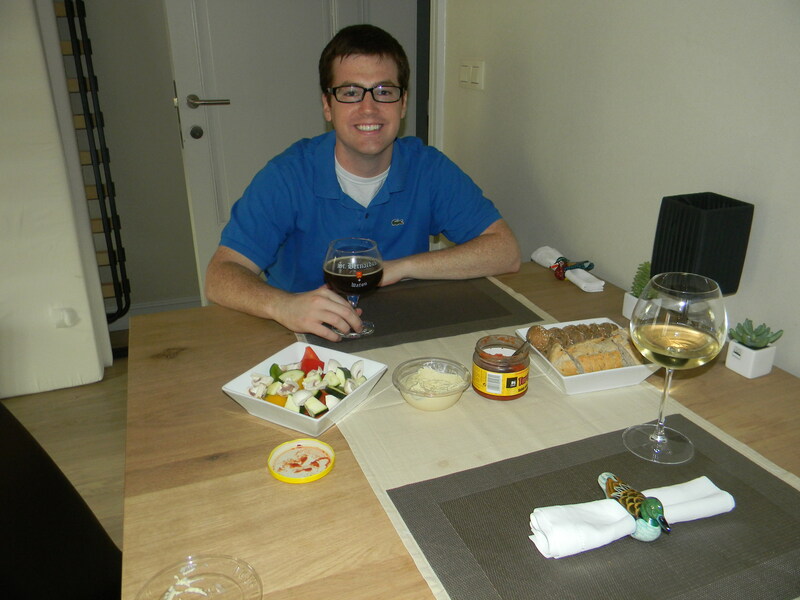 So funny…our table was set like this when we moved in…another reason I love it here! The interior and bathrooms are very nice and clean. 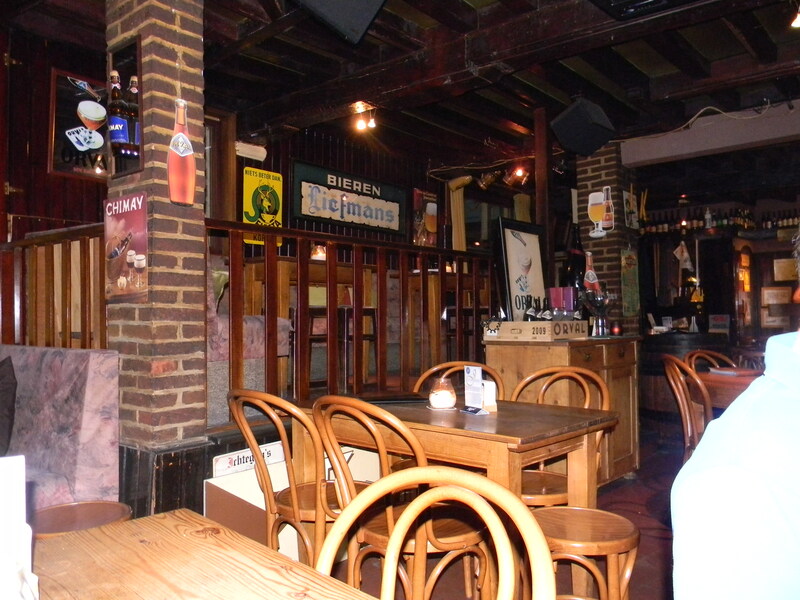 Take a look at all the glasses hanging by the bar (again, each beer has its own glass). 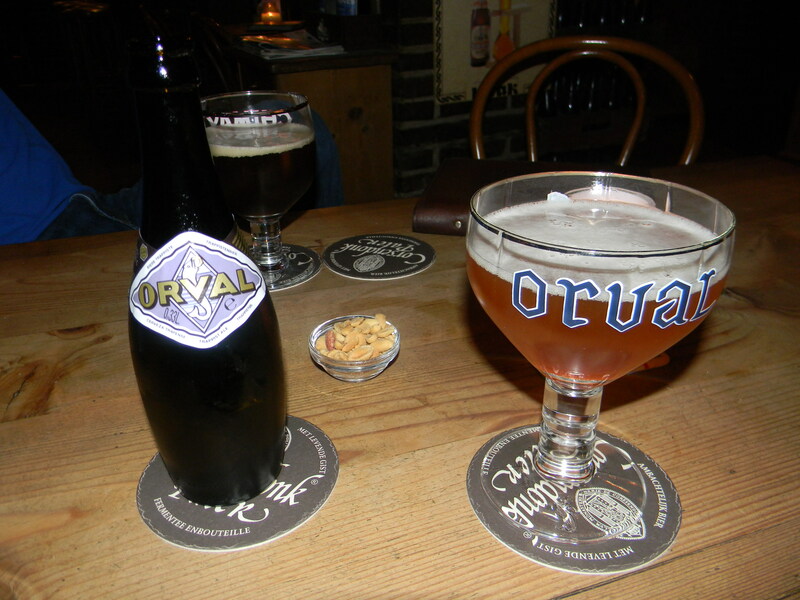 You can see by our beer pictures as well…my Orval beer bottle + my Orval branded glass. Bonus – free peanuts! 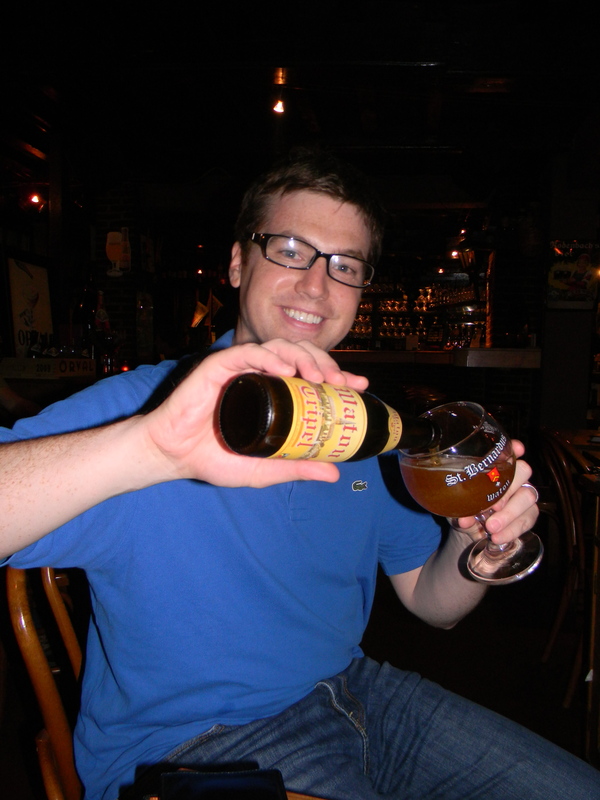 Joe opted for his favorite Sint Bernardus 12 and tried a Watou beer. I opted for Orval as it has a lower alcohol content (6.2% still isn’t that low, but whatevs it’s Friday)! Here are some pics! 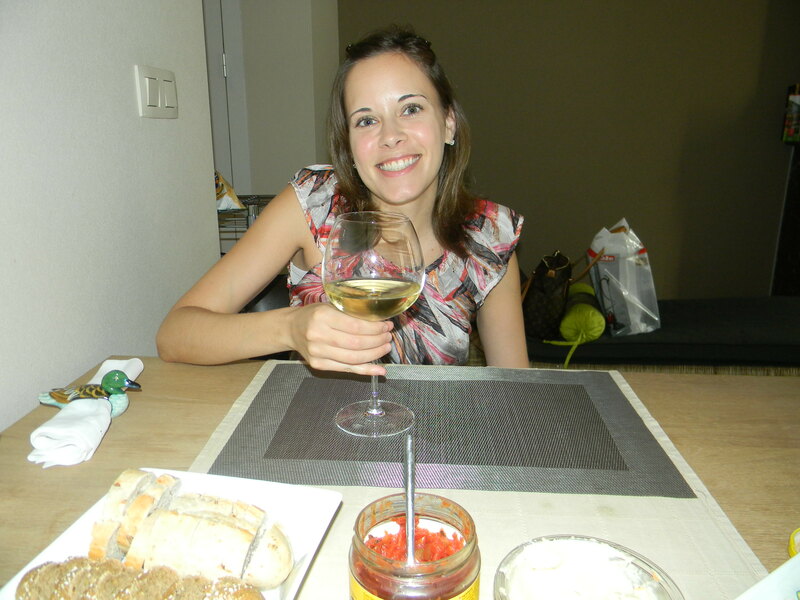 Prost (cheers)! !